Multi touch technology is making a huge impact in our day-to-day lives; with a variety of multi-touch enabled devices we have access to information in the most convenient way. Simultaneously for industrial applications, multi-touch operating concepts are constantly improving the entire industrial settings. 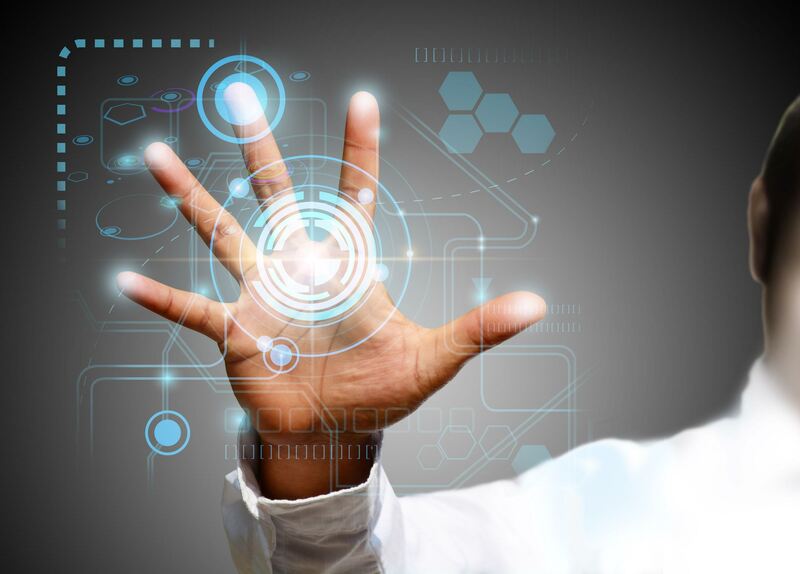 While there are number of touch technologies available in the market, this technical white paper addresses multi-touch over single touch, and detailed information on how to select the right features for different work needs. This technical white paper by Arista Corporation consolidates the crucial aspects of how the latest multi-touch technology impact businesses and enhances the environmental, ergonomic, and economic conditions of a workplace. This paper also focuses on touch solutions for myriad of industries including healthcare, marine, government, oil&gas, and pharmaceuticals. Multi-touch screen technology has edge over single-touch technology because it’s more convenient for users to design their application. Lets us now dive into the detailed information below. Simply stated, touch means contact with something and touch screen is an input device on top of the visual display of any information processing system. Users give inputs through single or multi-touch gestures and interact with the machine. The best example is smart phones and tablets, which are integral part of our lives and makes us well aware about the touch functionality. That said, for critical applications and industrial work area, simple touch functionality is not enough. For all such scenarios we need robust multi-touch features to deliver desired results. What is single and multi-touch? Single touch gestures with finger or stylus, allow touch sensors to detect by touch controller and application is able to sense the touch event. This option is limited to a single touch at a time. With multi-touch functionality users get response for multiple touch inputs simultaneously. We are already aware about how smart-phones and tablets have become integral part of our lives. One of the major reasons for their popularity is the intuitive operational and user-friendly interface. Moreover, the speed with which these devices work, users are able perform multiple functions using multi-touch gesture is radical. Likewise, for industrial operators multi-touch panels are becoming common, for the ease of improved accuracy. Multi-Touch gesture allows users to flick, drag or swipe, along with spreading fingers to zoom in and zoom out images or content. As discussed above multi-touch interface is able to recognize intuitive gestures and then revert with smart responses. For instance, swiping a finger across a display will move page/image and will open another screen. Users can resize, rotate and perform many other functions at the same time. Multi touch-screen uses a grid to locate where the touch is raised, since it senses multiple locations, the response is more accurate, quicker and reliable. Pinch to zoom is great example for multi-touch functionality which enables operators to get accurate results even in complex work requirements. The HMI (human machine interaction) is the space where interaction between humans and machines occur. To make the user interface effective and approachable, HMI takes it to another level of making advance operational decisions. There are several gestures used in the application, some of which include zoom in/out, multiple fingers rotation, scrolling up/down, swiping to switch between screens. Multi-touch makes all these functions easy and more accurate. As per researches and industry expert’s multi-touch gestures are more effective in preventing any hazard or dangerous operation. Multi-touch panels allow new dimensions for an enhanced HMI design and let users take full advantage of its capabilities. In much simple words, HMI is an interface for control and operations. Specifically to manufacturing and industrial process control systems, HMI increases productivity by providing a centralized control system. HMI is beneficial for wide range of industries including pharmaceuticals, food and beverage, plant manufacturing, industrial automation and many more. One of the main advantages of a HMI is a user-friendly graphical interface, which allows a seamless and hassle free functioning. 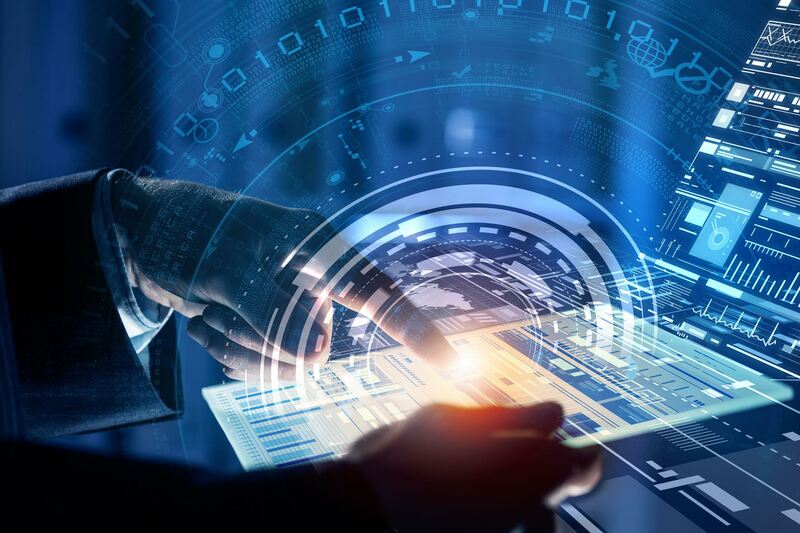 Improved accessibility and control-Touch screen operations for industrial applications are developed for a simple and user-friendly atmosphere; hence there is more reliability, security, control and ease of operation. Major benefit is the operator/user having the flexibility to use complex control panels with least hassle. Moreover, the screen gives a good visibility even when placed in unusual directions or in extreme temperatures. Harsh and hazardous environment: Industrial multi touch-screen panel PCs or displays can be tailored according to the regulations/requirements of different industry type. For example, for pharmaceuticals, research, and biotechnology productions, all materials are tested to withstand chemicals and cleaning agents. 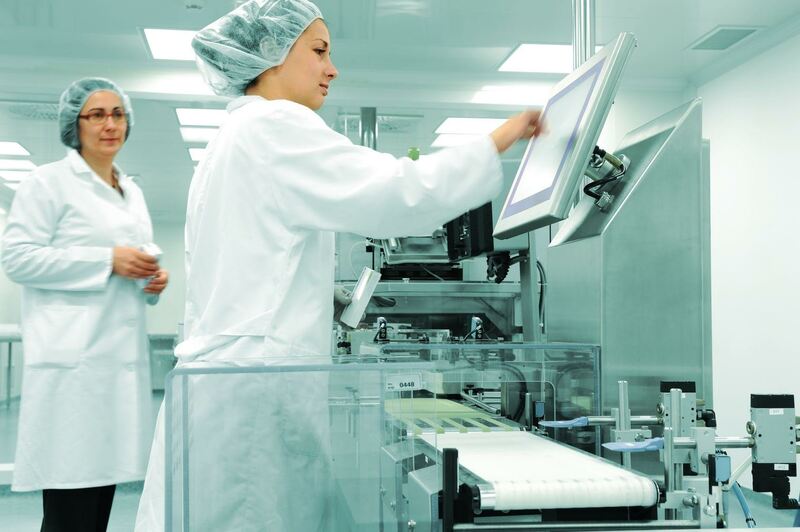 Moreover, wide format touch screens are available with an option of antimicrobial and chemical resistance. In case of industrial automation, screens are classified as per their zone, class and division. Advanced visualization: With an option of bright display, users are ensured with optimum legibility. The industrial PCs are available with different sizes and reproduce diagrams and graphics to be understood by users clearly. Safer and convenient to use: As already mentioned above, operating multi touch screen with HMI does not involve long hours of training. With a convenient user interface and flexible functionality, similar to how we use a smart-phone, operators can easily adapt in the work environment. Moreover, the operation is allowed only with finger movements or multi-hand gestures, hence ensuring a safe and hazard free working environment. 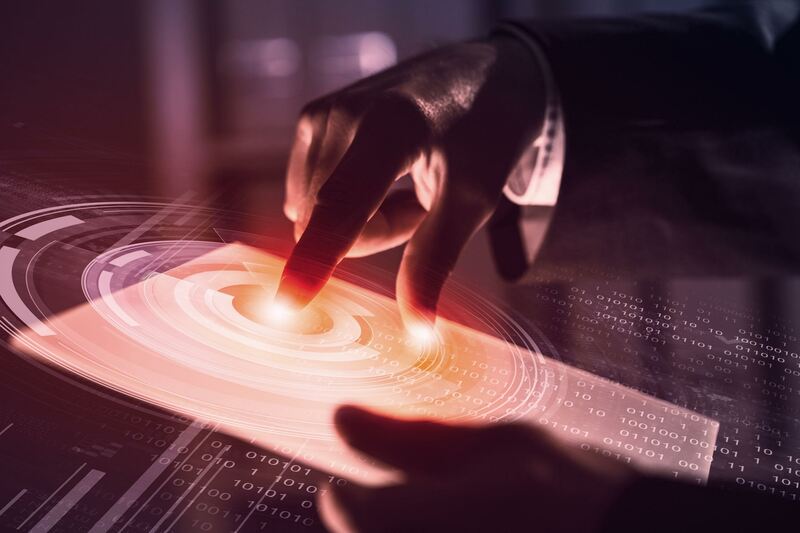 With capacitive touch benefits in abundance and accurate results response, resistive touch screen are being phased out in the commercial market. To know more about resistive touch limitations and features, please refer below. Resistive is another popular type of touch screen used in automation, medical, industrial and other similar work areas. Resistive touch-screen is able to identify touches through a gloved finger, fingernail or any object that is able to create enough pressure to the point of touch. That said resistive technology mostly provides a cloudy display and the single touch sensation often wears out with time. Resistive touch requires hard touch inputs and takes time for a response. For resistive touch to work, pressure on the screen has to be strong enough so that touches can be registered. Most of the resistive touch-screens do not allow gestures like zoom in/out or multiple fingers touching different locations on the screen. Although, resistive touch technology has improved a lot with recent times, still they are less popular for among high-end devices used for critical needs. Projected capacitive touch (PCT) is the latest and ongoing trend in the market; it has become a top choice of various industrial developments. Primary reasons for the success of PCT are the quick response time, intuitive touch options, and response for multiple gestures at the same time. Moreover, projected capacitive touch is ideal for products to be used in harsh working conditions. PCT (Projected capacitive technology) detects touch by determining capacitance at each electrode. When touch or other contact approaches an electrode it converts into locations that the system uses to detect touch. There are two types of sensing method, self and mutual capacitance. Self-Capacitance: In this one layer of individual electrodes are connected with capacitance sensed circuit, further sending touch data as electrical impulse. Mutual Capacitance: The capacitive circuit works with two difference material layer, one carrying current and other sensing line to detect current at the nodes. Latest technologies with great functionality require investment; however multi touch HMI is affordable and does not require much in implementation, upgradation, and maintenance. On the other hand, multi touch technology clearly brings out advantage and accuracy in work practices. Moreover for industrial conditions, multi-touch screens are the best option to be used even in harsh and hazardous locations. 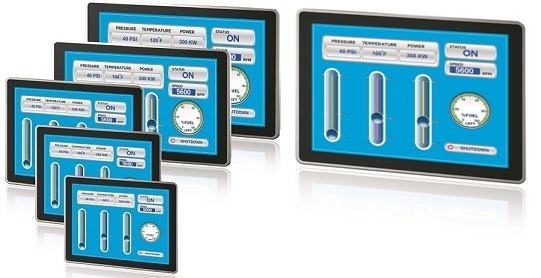 With multi-touch HMI screens there is protection against dirt, extreme temperatures and other obstruction. All these features are available with lower costs and less maintenance. With majority of staff, engineers and other designated workers using smart phones and tablets, operating multi-touch panels naturally minimizes efforts of getting people trained. Since, multi-touch gestures for HMI systems are highly user friendly, the operation is quick and easy to learn. The systems are incorporated with an interactive interface and all latest technical specifications, thus outstanding from legacy devices. Moreover, multi-touch screen technology displays are supports latest and legacy operating systems, Windows Embedded 8.1 Industry Professional, Windows 7 Professional/Ultimate and Windows Embedded Standard 7 Premium. Hence giving control over computing and communication to the users, integration of hardware and software makes it a next generation HMI. Not only multi-touch HMI is convenient and beneficial technology, it also embeds significant safety features to help protect operators and the workplace. For instance, functions for starting or stopping a machine are designed with an additional checkmark, ensuring a confirmed action is executed. Since users are able to use both hands there are fewer chances of accidental touches resulting in an unexpected danger. Today’s industrial application touch technology has drastically revolutionized the operating concepts for industrial applications. The multi touch technology has the potential to make machine operation more intuitive, faster and safer. Industrial multi-touch series from Arista is great for a real time accurate display of information. The multi-touch TPC series provide ease of operation for complicated/harsh working environment needs. One of the panel PCs range is the ARP-3800AP-E01, this multi-touch panel PCs range embeds new dimensions for innovative HMI design and eliminates tedious tasks of navigating menu after menu of push buttons. The ARP-3800AP-E01 offers wide selection of bright LCD display sizes and resolution, ranging from 15″ / 1024 x 768, 17″, 19″ / 1280 x 1024, to 21″, 24″ Wide Screen 16:9 aspect ratio FHD 1920 x 1080 resolutions. The Projected Capacitive Touch Screen on ARP-3800AP-E01 is a solid glass surface which makes it easy to clean and offers optimal visibility. With ARP-3800AP-E01 users can simply swipe their finger across the screen just like we use smart phones and tablets. The units are powered with Intel Bay Trail 1.9Ghz Quad Core E3485 Atom CPU that can be populated up to 8GB DDR3 system memory to run Windows 7 Pro and latest Windows 10 versions. ARP-3800AP-E01 Series comes with powerful system configuration and rich I/O connectivity. The feature of battery charging technology is integrated in all units of ARP-3800AP-E01 series; hence there is no hassle in the case of a power outage. Since the external battery can act as a UPS and trigger the unit to shut down windows operating system at the time unexpected power outage. The smart battery can be used as backup power to ensure an uninterrupted operation without power. ARP-3800AP-E01 provides four serial ports that can be set to RS-232/422/485 in the BIOS without opening the enclosure to change jumpers setting. There are 4-bit digital input and 4-bit digital output provided as well. Arista is the pioneer in the industry of product development, engineering, manufacturing and customer support. Originally formed in 1992, Arista has offices in China, India and Taiwan. With years of experience and expertise in Industrial panel PCs, Industrial monitors, Box-PCs and Fanless embedded computers, Rack-Mount Computers, ACP Thin-Manager Ready Thin Clients, embedded CPU Boards and video Extender/Switched. Arista has served customers with reliability, integrity and trust. Information in this document is the property of Arista Corporation; no part of this document may be used without prior permission from Arista. This paper only provides an overview of multi touch technology and its further classifications. It should not be considered as a recommendation/ substitute for any kind of safety guidelines. Interactive display solutions for effective decisions!